Something struck me the other day, I share so many photographs on this blog (and sometimes travel tips) but I don't share very much of myself. Blame it on the fear of social media over-sharing. Many of these photographs were taken during my travels, where, arguably, many interesting moments take place. So this is a little exercise in me trying to be more reflective and sharing a little more. On my second last day in Taipei, we stopped by the NTU campus for some last-minute shopping and we found a little market happening on the school grounds. Browsing through the shops, we discovered an awesome little preserved plum stall (so good!) 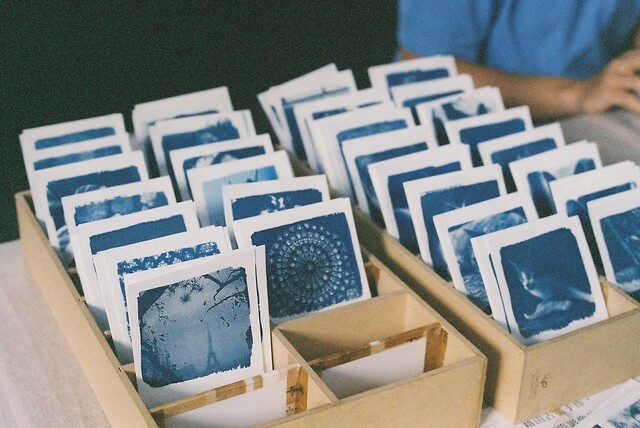 and this cyanotype postcard stall. Incredibly, I had came across this same stall before at Simple Market two years ago! I love coincidences like that. Think about it, as you go about your daily life, how often do you even bump into your neighbours, people who work in the same building or campus, who take the same trains or bus? But yet, in a foreign country, I have managed to come across this little stall and its owners twice in two different locations! 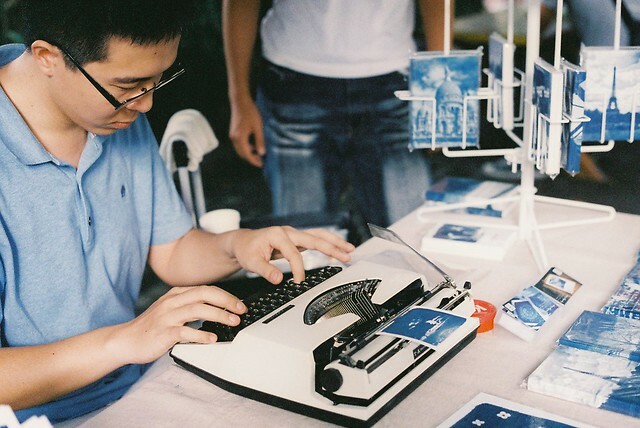 Needless to say, I bought quite a few more postcards that day.